Mrs Brown's Thoughts: I can see! Hello, I can see you! Not in a creepy way, honest. I can now see, thanks to my new glasses. Last Friday I managed to get to the opticians. I had been putting this off for a while, a few years to be precise. Why put it off? Well, expense & choosing new glasses. I did need new glasses my prescription has changed significantly & I have a new stigma - I have no idea what that all meant but I trust the optician. 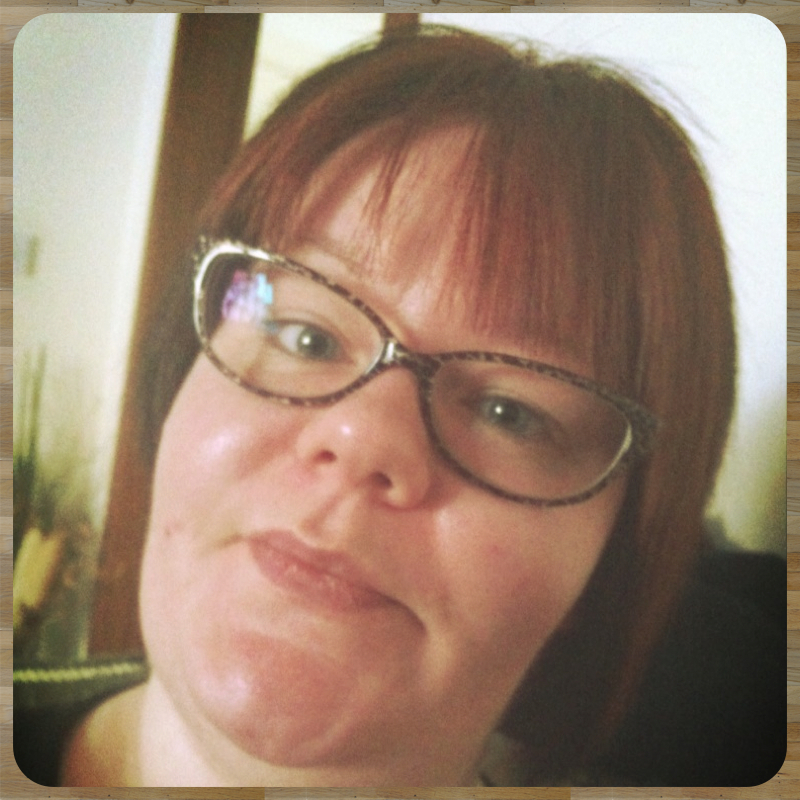 Specsavers had the Buy one get one free offer so I took advantage & got myself not one new shiny pair but two!! Now I have a choice again. Hold on to you hats as I went for a change! Hubby helped me choose which was good cos the sales people were nice but I do find it hard believe them when every pair looks lovely on you. 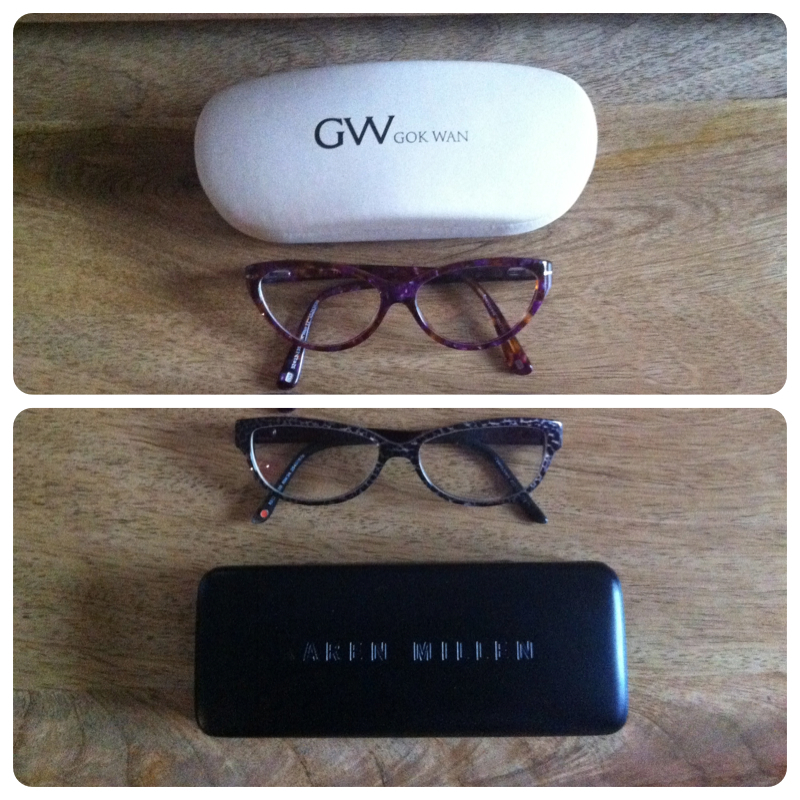 Gok Wan were my first choice. I heard the collection was vintage inspired & hubby went straight for them in the shop. GW by Gok Wan is a capsule collection of 30 stunning glasses. Think cool, retro designs inspired by decades past, from the 1940s right through to the 1970s. Using eye-accentuating colours such as ivory, caramel, navy and grey, coupled with discreet branding, the range oozes subtle glamour. I went for a gorgeous cats' eye shape a big change & still getting used to the statement they make when I wear them but I do love them. My second pair are from Karen Millen & after trying on like what felt like every pair in the shop, these lovelies fit like a glove. They also have a nod to the past & leopard print! I decided to get Reaction lenses on these so this pair doubles as sun glasses - how very cool! So what do you think? You like my new glasses? I just wear the "readers" that you can buy at a drug store, but I chose the cats eye style glasses too for my last pair. I was actually surprised to see them on the shelf, guess they are making a comeback. Thank you! They are def making a comeback - lucky me! I love your new glasses! I just wear readers now, but my nearsightedness is coming back a bit (I had it surgically corrected years ago) and I think I'll be wearing glasses all the time again. Hope I can find some cool ones like you did! 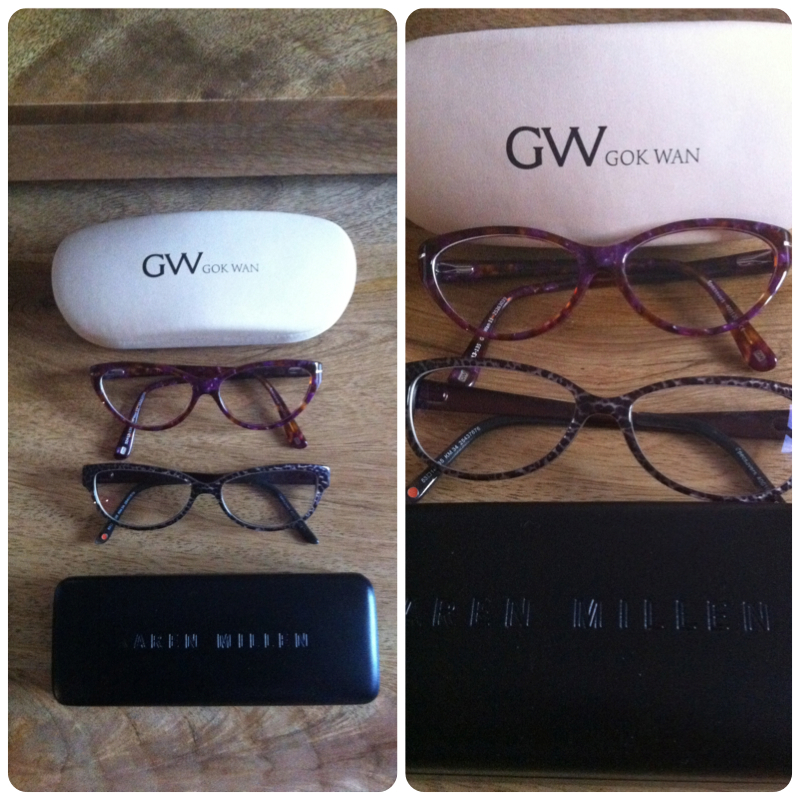 Thank you, there is so many options now for glasses I'm sure you'll find a fab pair! I got my glasses at specsavers too and their offers are great. I don't think I can pull off the style, but I think they look good on you. Thank you, I was a bit unsure if I could pull them off but I'm getting used to them. Loving that I can see better tho, should have got my eyes tested months ago! I am loving the Karen Miller glasses, they are fabulous! I'm glad everything worked out with your new glasses - they look great! It's times like this (when folks find rockin' glasses) that I wish I needed them ... but not too much - I don't think I'd be able to keep them scratch free! Your glasses look great! I'm new to your blog too, but it looks awesome. I especially love the pictures.